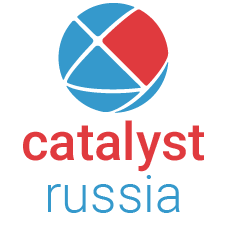 Catalyst Global team building products are sold and delivered under exclusive license in Poland by ExProfesso, a DMC located in Krakow. Since 2003 ExProfesso have been providing team building and training programs for business groups with a key focus on experiential learning to bring lasting change to organisations. ExProfesso means a way of acting – “professionally” and “in line with professional knowledge”. It’s this word, as the backbone of its business that has made ExProfesso renowned in the industry for professionalism, reliability, as well as, passion and innovation. ExProfesso ensure that all programs, as well as being fun and engaging, have key business benefits that bring lasting changes for individuals, teams and companies. Through the power of experiential learning, individuals can learn about making the right decisions and predicting their consequences. Whether an indoor or outdoor event, ultilising the power of gamification allows individuals to concentrate on the most important management issues in a safe environment that enables experimentation in learning. They are also a great tool for building teams, improving communication and driving cooperation among participants.